Strictly speaking, the Met Cloisters would correctly be seen as part of the Met Museum. However, the unique nature of this part of the museum, in addition to the stunning architecture, make it well worth a special visit in its own right. 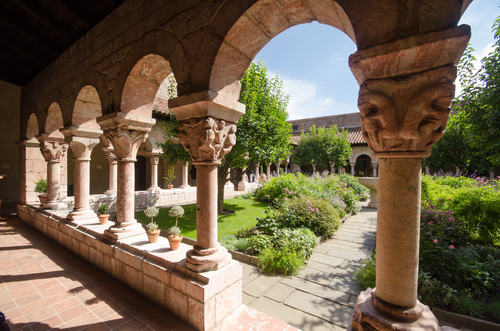 For the uninitiated, the Cloisters play host to the Met’s carefully collected galleries of medieval art and architecture, all hosted within the peaceful confines of an ornate park that overlooks the Hudson. Following the path from the grounds of the Cloisters to the castle at its heart can feel like walking back in time, but in reality, the castle is less than one hundred years old. The building materials used in its construction were taken from the ruins of five different authentic French cloisters that saw use in medieval times, and the builders did an outstanding job. If you have a keen interest in history (and even if you don’t), you’re sure to be drawn to the star attractions within the gallery. We’d suggest paying special attention to Robert Campin’s Annunciation Triptych, the Fuentiduena Chapel which dates back to the 12th century, and the world-renowned Unicorn Tapestries. There are more than two thousand separate examples of art and architecture within the Cloisters, but the scenic gardens are as much a part of the appeal as anything else.